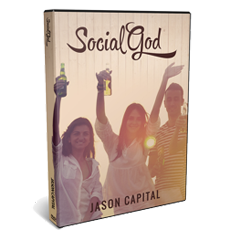 Jason Capital offers a program for transforming your social life based on his experience and expertise. He teaches you how to create a social circle in which you are the center of attention. It builds upon deliberately building a strong, vibrant, expanding social circle in order to become a Social God. The strategy is based on taking action and intentionally expanding outside of the normal proximity of your social circle to invite others, thereby linking yourself to other social circles and upgrading your own.